Welcome, creatives, dreamers and the like! 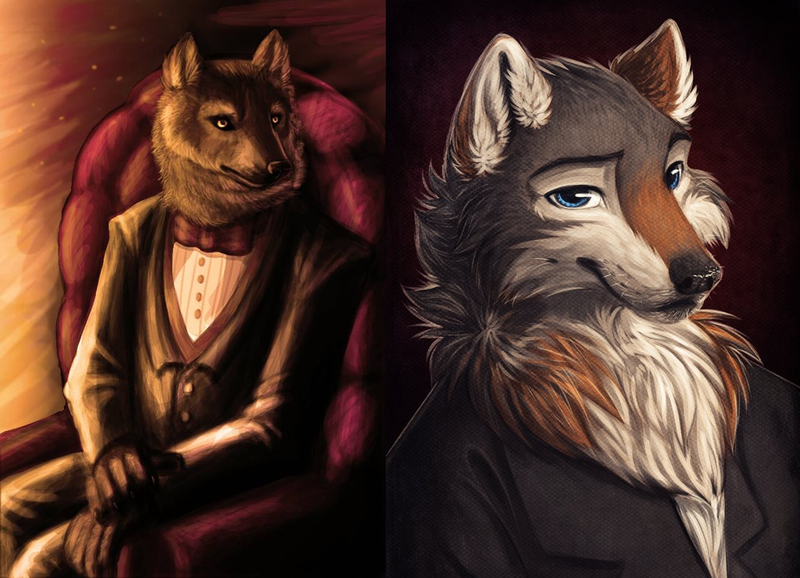 A big thanks to JH Wolf for testing out my commission function on my new website, and allowing me to do an artistic freedom piece redoing a very very old work I did back in 2013. I redid this piece with my focus being on capturing the character more than the surroundings and environment. I had a great time testing out new fur techniques, and trying to focus more on my style. I think I have a new favorite brush to use. Clearly, my understanding of anatomy, lighting, and color has significantly improved between 2013 and 2018 (you can see the comparison below). I look forward to making more improvements as time goes on. I think I may try experimenting more with this more painted-like style. It's even messier than my other works, but I think that it looks more like it was on purpose here compared to my older style. I will likely be opening for other commissions soon! Keep an eye out on here for the announcement!